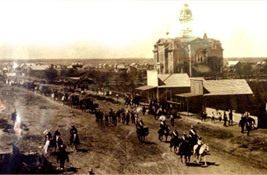 Welcome to San Angelo Genealogical & Historical Society website! 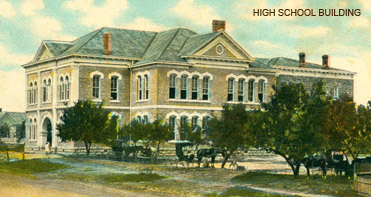 SAGHS welcomes all who share an interest in family history in West Texas! San Angelo Genealogial and Historical Society invites you to explore our website and consider becoming a member of our society. SAGHS is a nonprofit organization founded in 1973 to promote interest in genealogy and history. It is a society for everyone, from the beginner to the most advanced genealogist. Just a reminder! If you’ve never taken a DNA test, drop by Research and More on Wednesday afternoons at the West Texas Collection to chat with SAGHS members about what you can learn and which DNA companies might be best for your needs. Research and More is a great time to research your family or help someone else with their research. Sometimes we learn exactly what we need for our search by helping someone else. Even more, it’s great to help someone with their brick wall – it makes a nice break from staring at the brick wall that’s stymied our own progress! Hope to see you there! SAGHS is building a file of Concho Valley pioneers, and we want to include your pioneer ancestor! Jan Thomas, our new Pioneer Certificate Manager, will help with cetificate applications; Contact Jan (e-mail). Pioneer Certificate assistance is always available at our weekly "Research Assistance & More", Wednesdays at the West Texas Collection at ASU, from 2 to 4 p.m. Certificates make a great gift!